The Xiaomi MI-1s was launched in August 2012 as the successor of the MI-ONE that was also referred to as MI-ONE Plus. The latter entered the market in January 2012. Although both are great devices, the 1s is famous for its long-lasting 1930 mAh battery, as well as its performance. If you own this smartphone for 2 years or longer, you might have begun to experience minor software problems. A frozen app, a slow-loading software or errors appearing on the screen are a few reasons why you should consider hard resetting the Xiaomi MI-1s. The same procedure can also be useful in case you don’t remember the password or would like to sell the device as brand new. 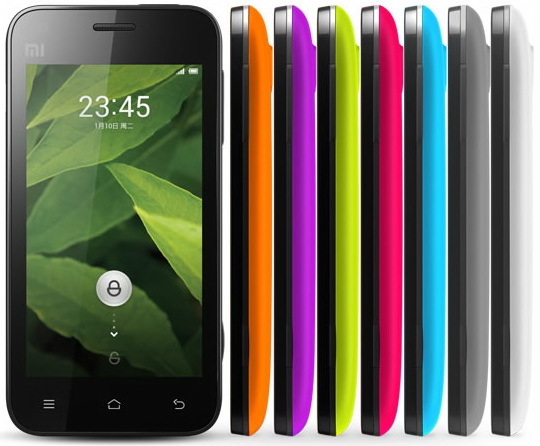 Running on Android OS v4.0 (Ice Cream Sandwich), this phone has a 4 inches capacitive touchscreen with 16M colors. If you’re interested in surfing the web, this one might be the best phone to get as it has a 3G network, Wi-Fi 802, many popular apps are included and the usual speed is around 14.4 Mbps. Thanks to the Dual-Core 1.7 GHz Scorpion processor and the 4 GB ROM, as well as the 1 GB RAM memory, this is one of the most appreciate models from the brand. The factory restore is very easy to perform on this phone, as well as it is on other similar models. Before moving any further, though, we suggest making a backup of the data stored on the internal memory. By the end of the process, all user data will be erased in order to remove all possible viruses. To transfer your favorite photos, videos and music, as well as any additional documents you’d like to keep, you should use the Phone Copy app. This application was specially designed to suit most Android phones, as well as some of the tablets. Working perfectly on the MI-1s, the tool can be downloaded here. Once installed, it will guide users with on-screen indications, making it very easy to create the necessary backup. From the Home Screen go to the Settings folder. Scroll down to the Backup & Reset tab and press Reset Phone. Select Erase Everything if prompted and wait for the reboot to start. Turn the Xiaomi off and press the Volume Down and Power keys for a few seconds. Hold both keys until the menu appears, then select Clear Storage with the Volume buttons. Press and quickly release the Power key to confirm then use Volume Up to choose Yes. If necessary, press Power once more and allow the operation to begin.